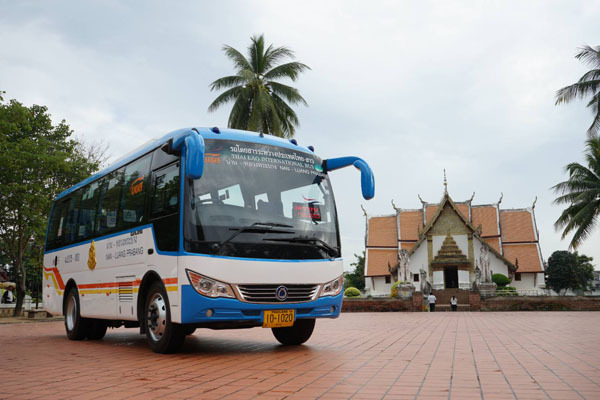 Tourism and transport officials of Thailand and Laos launched the service at the Nan bus terminal on Thursday morning. Jirasak Yaowatsakul, managing director of Thailand’s Transport Co, said the service was a collaboration between the state enterprise and Naluang Co of Laos. It offered convenient public transport and would promote bilateral tourism and both economies. The service uses minibuses with 21 seats. Departure time is 8am at each end. Passengers must carry passports, with visa if needed, or temporary border passes. More information is available at 0-2936-2841-8 and hotline 1490.